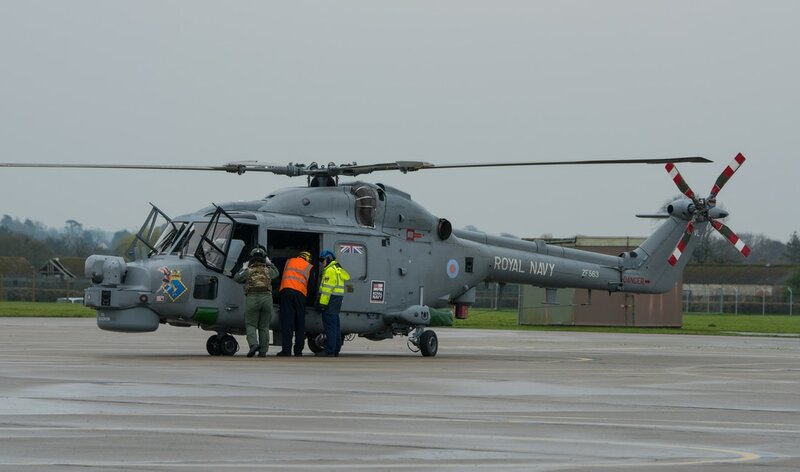 On 17 March 2017 at Royal Naval Air Station Yeovilton, the home of No 815 Naval Air Squadron, four Lynx 8 helicopters lifted off on a farewell flight around south west and southern England. After a career spanning over four decades with the Royal Navy, the Lynx helicopter is due to go out of Fleet Air Arm service towards the end of March 2017. The four helicopters toured sites that have been associated with the type which included Portland, the Naval Air Station where the maritime Lynx was stationed for over half of its service life, before relocating to RNAS Yeovilton in 1999. Also overflown were Devonport, Filton, Weston-Super-Mare, Fleetlands, Portsmouth Harbour, Odiham, the Isle of Dogs, Middle Wallop, Boscombe Down and Compton Abbas. One of the Lynx in the formation, XZ689 (314), first flew in December 1978 which makes it one of the eldest surviving of the type that is still in an airworthy condition. 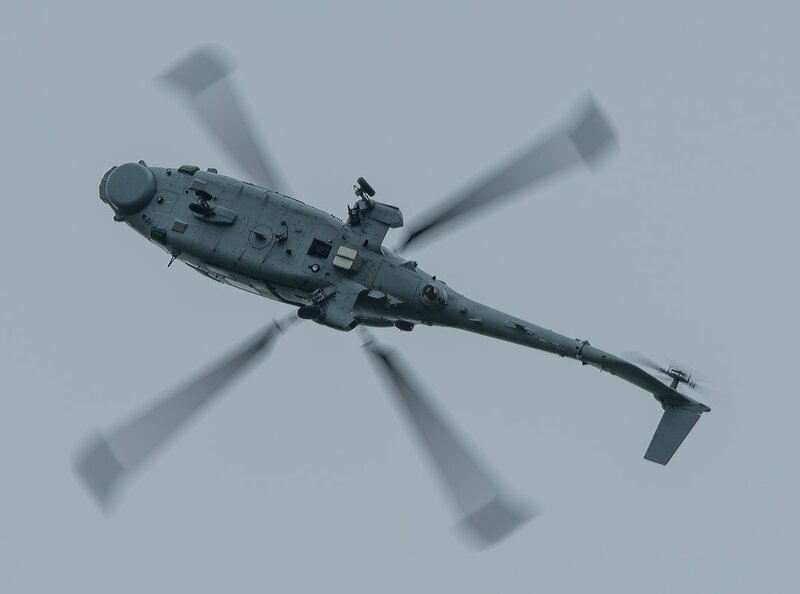 During its service life, the maritime Lynx has seen its fair share of operational flying with involvement in the Falklands War and Operation Granby (The First Gulf War). During more peaceful times the maritime Lynx could be found serving aboard Royal Navy ships on deployments that spanned the globe. 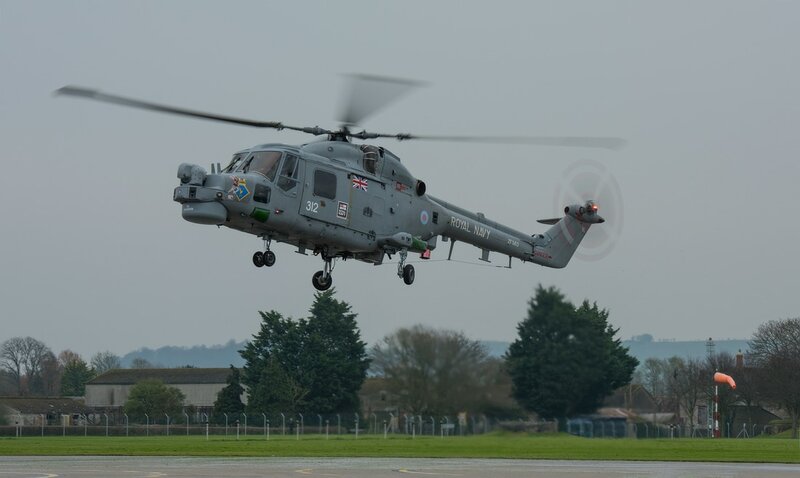 ​The Lynx 8’s successor the AW159 Lynx Wildcat is now coming on strength at Yeovilton and will continue in the role that the maritime Lynx has undertaken for over forty years. Although the name Lynx is the same, the Wildcat is a very different airframe with only 5% commonality between the old and the new. ​The photograph show the Lynx formation landing back at Yeovilton at the conclusion of the farewell flight. Decommissioning of the Fleet Air Arm's last operational Lynx 8s took place on 23 March 2017 at RNAS Yeovilton. This landmark event was concluded by a display flown by a single Lynx 8 from No 815 Naval Air Squadron.The helicopter which performed the display was ZF563, the last of the type delivered to the Fleet Air Arm in November 1988. The display showed all the agility and performance of the Lynx, a trait for which it is well known. It may still have an analogue cockpit, be battle scarred and showing its age, but the maritime Lynx passing into history will be mourned by those who flew, maintained or simply enjoyed observing the helicopters display at airshows and events. The landing at the end of the solo display was the last undertaken by a Lynx in Fleet Air Arm service. The event was closed by a decommissioning ceremony, held in No 815's hangar. This day marked the end of 41 years service of the maritime Lynx in Royal Naval service, with some 490,000 hours having been flown by the type. ​At the conclusion of the decommissioning ceremony guest of honour, Fleet Commander Vice Admiral Ben Key (former Lynx Observer), flew in Lynx 8 ZF563 to rendezvous with HMS Ocean off the Cornish Coast. The ship was returning from a six month deployment and the opportunity was taken for the Lynx to welcome HMS Ocean home and also to perform one last deck landing in the process. ​Late in the evening of the 23 March 2017 under the cover of darkness ZF563 recovered safely back to Yeovilton and with this final landing, Fleet Air Arm maritime Lynx operations were truly at an end. ​With thanks to Chris Cannon - www.simplyplanes.co.uk for the invite to the event.